Our organization has successfully expanded its business in market owing to the offered elevated quality range of Conveyor Belt. At well-maintained production unit, these belts are manufactured under the surveillance of experienced professionals using quality assured material and ultra-modern technology. Our offered belts are used in material handling equipments. Apart from this, the provided belts are checked on set quality parameters to ensure their quality. Conveyor Belts are designed for the respective application. Our application engineers are already advising the customer during the planning of conveyor belt systems, in order to find an optimum solution. 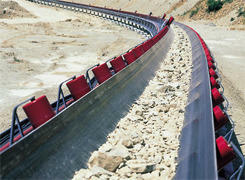 manufactures a huge number of standard conveyor belts besides steel tension carriers and special conveyor belts. The covers consist of an abrasion-resistant rubber quality, with high values for strength and elongation. 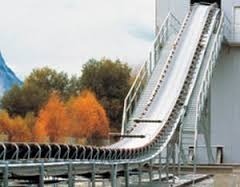 Conveyor Belts usually have solid rubber edges. 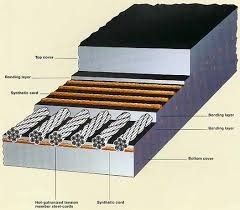 cord transverse reinforcement to the user as an active protection system against extreme impacts. The belts are endless jointed by means of well-known splicing systems. Splicing materials of acclaimed, specialized companies can be used as well.